Chevy Aveo might not receive the attention as other Chevy models, but GM designed this compact car to compete with Ford and Dodge. The Aveo and its Ecotec engine are a perfect pairing of fuel economy and stylish exterior. What we sell here are genuine GM engines like our Chevy Aveo Ecotec car engines for sale and these are offered at rock bottom prices. What you can find is used and rebuilt Aveo engines in stock and ready to ship out anywhere in the world. We have taken the time to build our inventory with excellent motors. We don’t have any warranty problems here at www.carenginesforsale.com. We are experts at many things in the engine industry. We know how to rebuild. We know how to buy motors. We know what our customers want. We even know that half of our business is benefiting salvage and junkyards. You buy engines online in hopes that you can reduce the price. We do that for you too. It is surprising the amount of dealers that sell without discounting the MSRP. We believe in helping everyone and have structured our pricing to be as low as humanly possible. This goes for all of our Chevrolet 4-cylinder engines in stock right now. A rebuilt engine is a great thing. To get an engine that is rebuilt is very cost effective. If you have not purchased one yet, you are definitely in for nothing but good news. The remanufacturing procedures that we use are the best in the industry right now. Technology is upgraded constantly in the engine business and we are right there with the changes. This means paying for training programs for our mechanics and buying new machinery that helps our experts do their job better. Everything that we put into our business is present in our engine quality. Whether an engine is purchased for a single driver or to stock a junkyard, we know how important used and rebuilt engines are to everyone. We have special deals that we receive from General Motors dealers. These professionals know that we use high quality standards when finding engines to put into our inventory. Selecting engines takes experience as well as a good understanding of what our customers want. We employ an entire staff of experts that take care of all our acquisitions, sales and freight handling. You are not simply buying a remanufactured or used engine from us. We are a total package of experience and professionalism. We support everything that is sold from our engine warehouse. If you are not happy, we are not happy and we do whatever it takes to make you a happy customer. 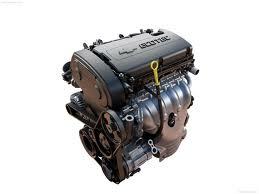 You can get our Chevy engine pricing 24 hours day right from this website. The development of our online quotation system is one of our biggest achievements here. Use the Chevy Aveo Ecotec quote form now. You get a really low price without haggling or the traditional hassle to get it. Call 1-877-630-3873 and ask questions or to obtain other information. We are happy to help you.